Since it opened in July of this year, it’s been a great place to go to not only for the waffles, but the wine, and the coffee. 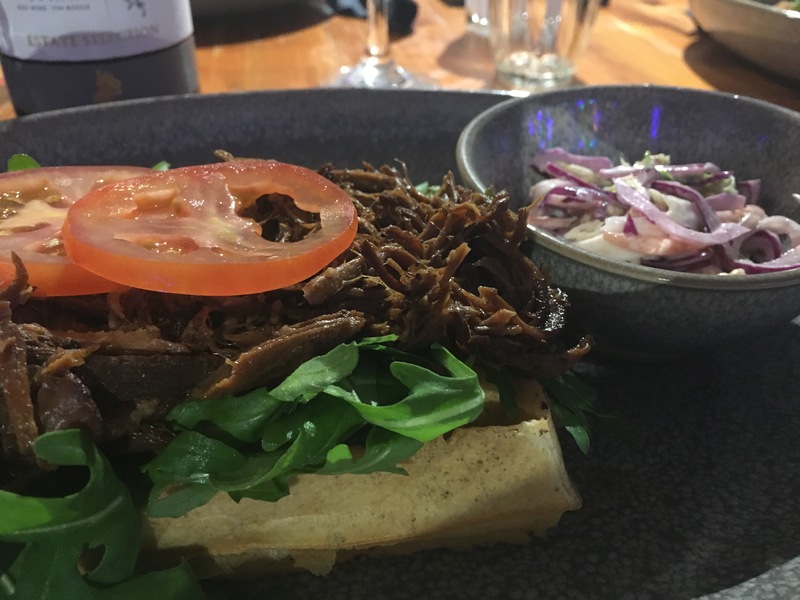 In charge are Bruce and Sharon Whetton who decided that Lincoln needed something that set it apart from the many Italians and other independents that can be found in Steep Hill and beyond. 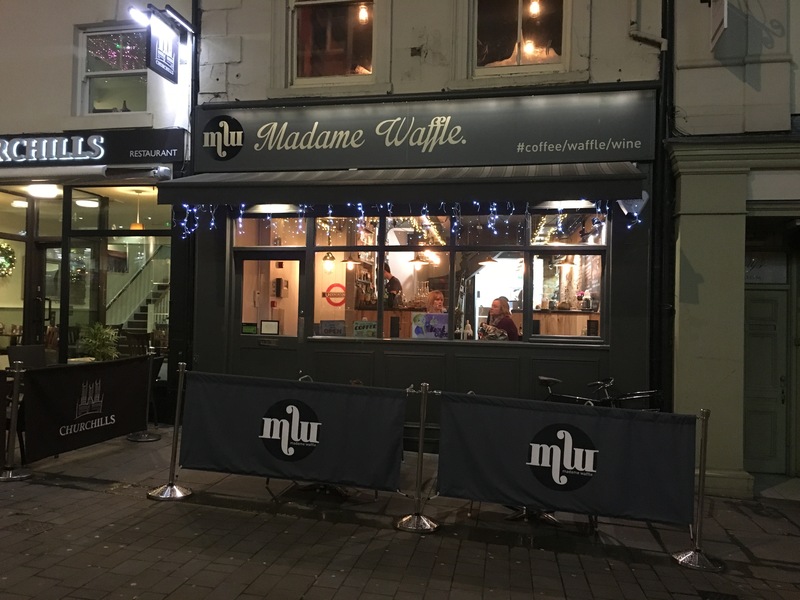 Even though ‘Waffle‘ is in the name, which can give the impression it’s a restaurant, especially of where it’s based, it is definitely just one aspect of the place, not the main event. 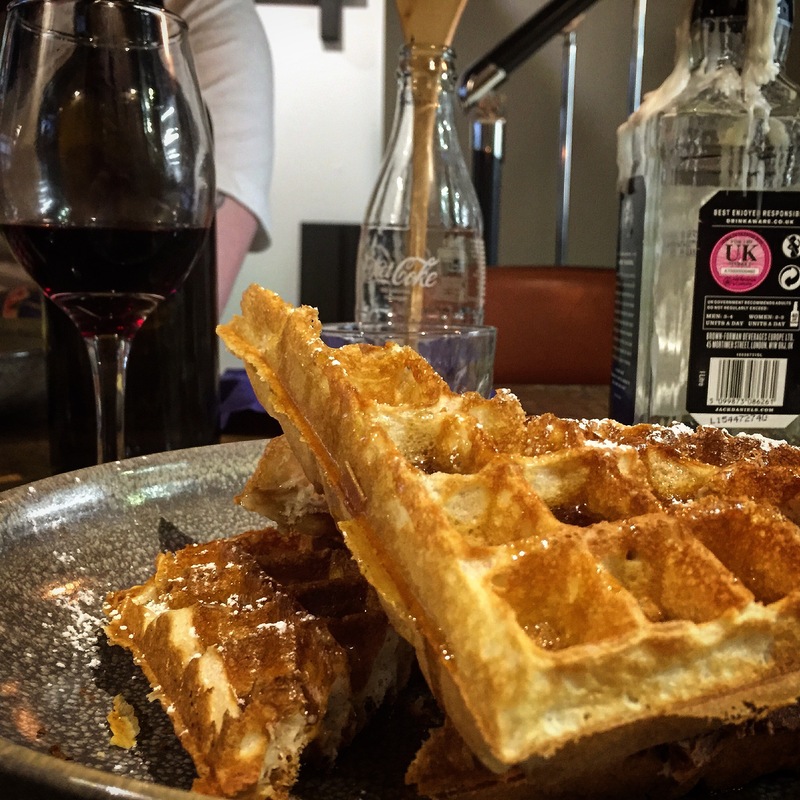 You can easily meet with a few in the day to have a coffee, or in the evening to share a bottle of red, and then if you’re feeling hungry, a waffle can be had. If you come in for the sole reason to eat, you’re going to have more than one lone waffle, it’s guaranteed. Over four visits, I had waffles. Lots of them. All of them, were really good. Just Waffle. + Extra Waffle. £4.75. But I’ll only speak of one visit. We come in, and we are shown our table at the bottom floor. You can either sit at the main floor where the bar and kitchen reside, and theres an area upstairs and downstairs each. You might think you’d feel neglected being sat in the downstairs area, but being checked every five minutes didn’t make me feel this. Beside us, there’s a pipe that you can hear water running through it constantly, and it’s covered by scribbles of notes by past visitors. I wanted to, but I couldn’t find a felt tip that was attached to it. I can’t help but feel there’s a trick here involving Instagram and Snapchat with this pipe. Scribble of the Week? Pipe of the Pen? I’ll stop. Service is quick and casual, and there’s never a moment where we feel pressured to order quickly. Ten minutes after the wine (and smoothie) is ordered and delivered, we make our waffle orders. One thing I did feel uncomfortable at, was being asked to try the bottle of wine, then having the lad pour it himself. I need to be honest here; I felt awkward. I can’t speak for the decent lad, but I got the feeling he felt awkward too. This is not Michel Roux’s sommelier here. It’s a casual, laid back environment. I’ll pour my own wine and enjoy. The waffles arrived quickly. I was at a chain a week before this, and having to wait forty minutes for a main irritated me to the limit. So to have this quickly was a pleasure. Filled to the brim of pulled pork for me and another who ordered the same, while the third enjoyed theirs with chilli, also covered, and he then ordered another. After spending another hour slowly devouring the wine between ourselves and chilling out from the day, we paid using the contactless which they only recently installed, and were on our way out. Quick, laid back, always a pleasure. At around £8.95 for a waffle with the fillings they were great value, and looking at the menu, you could easily add more waffles if you wanted, or try an ‘Emballè’ Waffle, which has a choice of fillings baked in. Month by month they’ve added more benefits to the place, such as stamp cards, so the more you buy coffee, the closer you are to a free one after a certain amount of stamps, similar to Cafè Nero. Takeaway was launched a few months ago, which is a great idea to quickly get if you’re on an hour break. The coffee itself is worth a mention, you could easily get addicted to this, it’s even better than dare I say, Cofee Aroma five minutes away from Madame Waffle. You’re encouraged to take a seat and people watch while you drink away, or just take it back to where you need to be. At around £2.70 for your choice of coffee, it’s great value, and is a great alternative to Neros too. 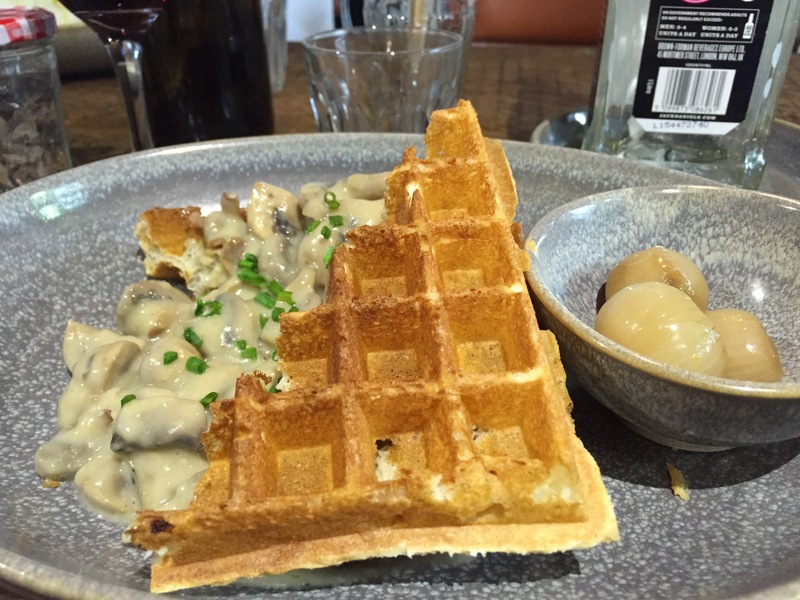 Compared to a visit of Titos last month, Madame Waffle’s website and social media do themselves proud. The site is clean, modern, and shows front and centre the food and beverages it offers. As you can see, there’s even the menu on the main page to see what it offers on different times of the day. You can find them on Instagram, Facebook, Twitter, & Vimeo, although the Twitter profile could do with one of the staff taking charge of that with more retweets of customers posting their waffles. But I want to get this off my chest. I get the feeling, and it gets stronger every time I visit, is that it’s not a restaurant. Not secondary either, but third in the rank. There’s a kitchen that makes incredible waffles, granted. But I can’t help feel like it’s the staff and the coffee that really make the place what it is. 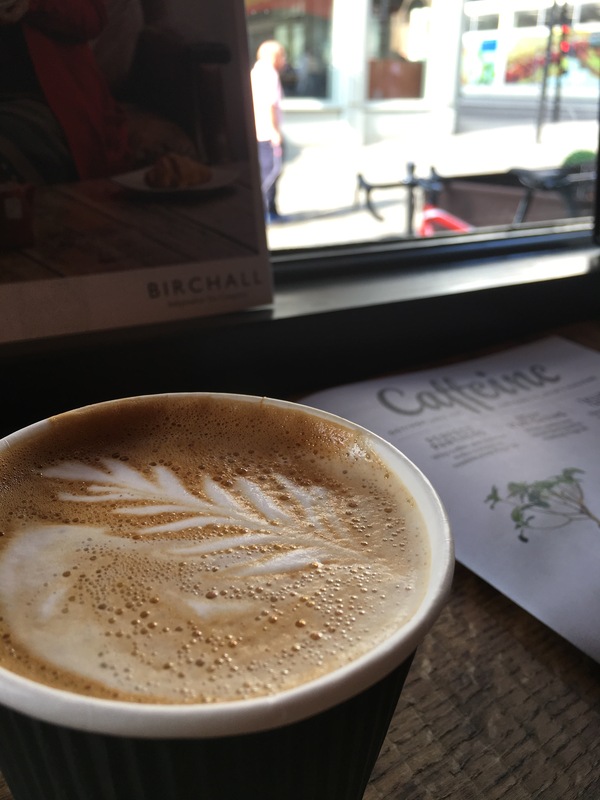 I visit and I talk to Bruce, and I hear a lot about the coffee, so much passion about it, even going so far as to mention that they take into account the lids for their takeaway cups. That impressed me, why not have that front and centre on the website alongside the waffles? Not so much ‘come for our coffee cup lids!’, but just to shout about how much effort they put into it for a good price. I know the coffee is hand picked and ordered in especially, but I don’t see that exclaimed at the front of the house. During the Christmas Market, I saw they had a stall of these waffles on a stick, but outside the house. In all honesty, I’m not sure whether legalities prevented them from being closer to the market with this stall, but seeing them close this up at 8pm was a shame to see as I walked past. But it’s got a challenge, especially with where it’s located. It took over from the Apple Tree coffee house, and I remember it having Saturday nights where you can go and have a few drinks before you went on to Cubes, or Kraft, or, dare I say it, Ritzys. Opposite they face a chain, Carlucchios, and only a walk that’s less than a minute away, even more choice can tempt a paying customer. 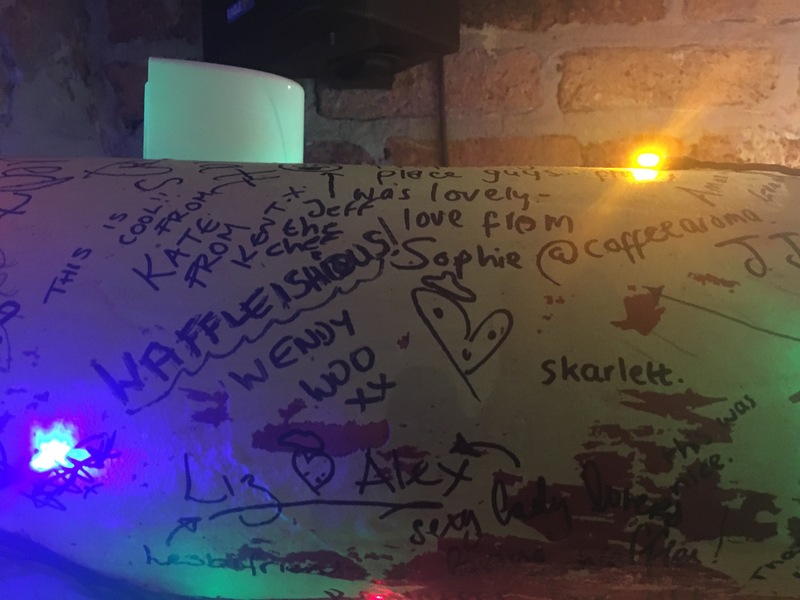 If there was even more focus on the social media, alongside perhaps even a themed waffle, for example with what Annie’s Burger Shack have done for Halloween and Christmas, they could have an even bigger following. Lincoln has had far too many Italians in the past decade, alongside an American Cash Cow on the A46. There’s definitely a place for a waffle house, they only need to shout about it more and do it in their own unique way that they’re more than capable of.